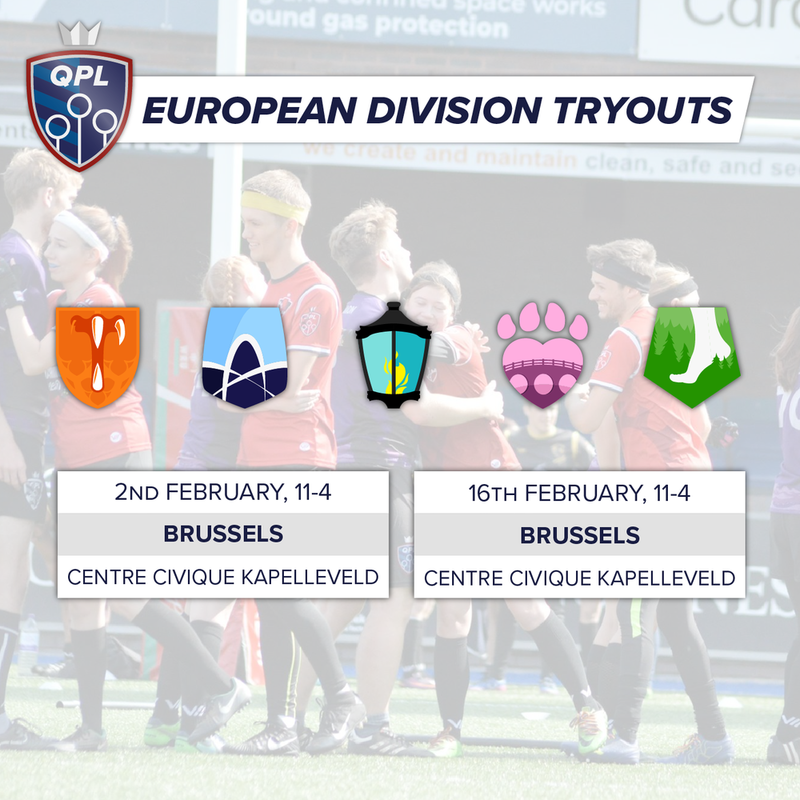 The Quidditch Premier League is pleased to release the try-out dates and locations for the 2019 season. 22 in-person try-outs will be held throughout February, and registration for either those or to submit a video application will open on 1 January, 2019. We can now also confirm fee information for the 2019 season. The try-outs are all completely free to register for and attend. All you need to bring is footwear suitable for playing in, athletic clothing, and loads of enthusiasm! If you can’t make any, don’t worry - you can always submit video footage to apply. The league would like to thank all seventeen of our managers for their incredibly efficient planning and cooperation in fixing these dates and locations so quickly. We would also like to extend our thanks to clubs that have volunteered their space, time, and equipment to help host so many opportunities for potential players to try-out for teams. We can also now confirm the fees for the 2019 season. There will be a single flat fee for the 2019 season: £87, or €97. Players will be given the opportunity to ‘round up’ their fee to £90, or €100, by adding our traditional charity donation. The 2019 official charity of the Quidditch Premier League will be announced shortly. The fee includes a fully sublimated, personalised team jersey with a name and number, official Quidditch Premier League shorts, and a pair of sports socks, all from SAVAGE Ultimate Apparel, as well as the opportunity to play in the three divisional fixtures and Championship event for the 2019 season. Players will also have the opportunity to earn back a portion of their fees through the sale of fan jerseys featuring their name - more information will be provided once the offer of a place has been made. While UK players will be familiar with submitting payments to our UK business bank account, we will shortly be setting up a parallel business bank account to take payments in euros, making it as smooth as possible for our new European intake to complete their on-boarding. All information will be provided after the offer of a place is made, and, as noted above, all try-outs are completely free to register and attend.